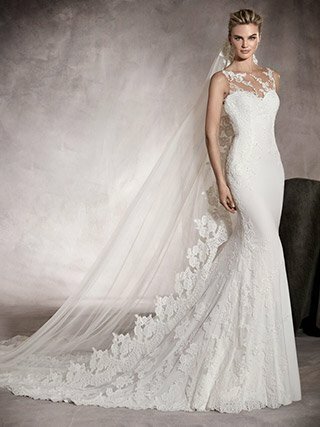 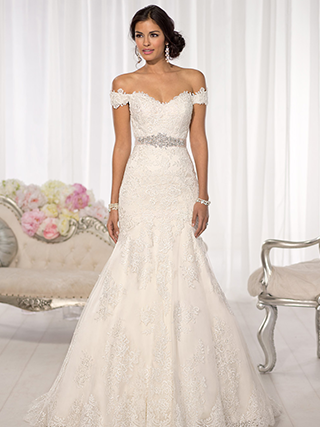 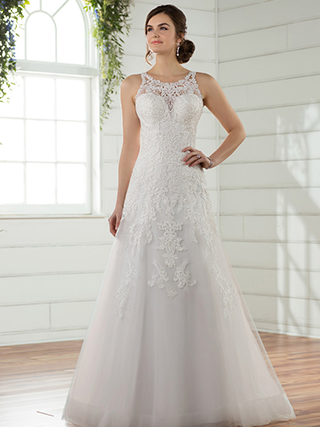 These are just a few of many beautiful wedding gowns at both our main and sample store. 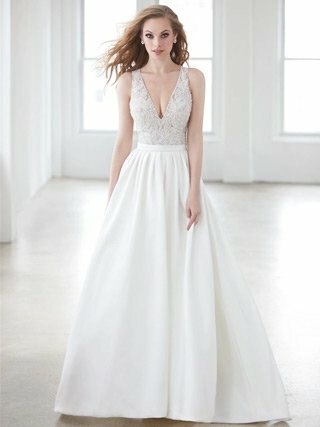 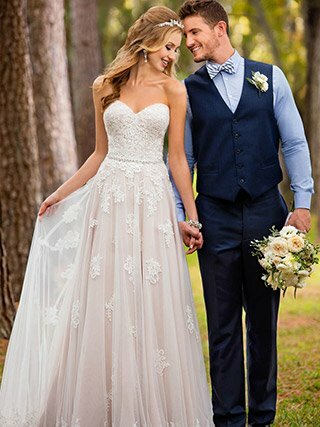 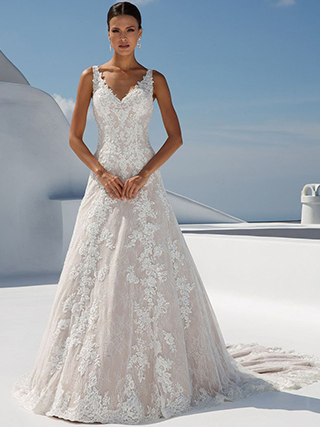 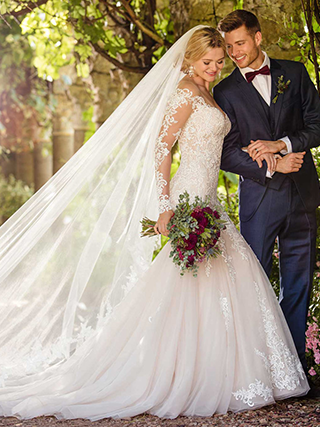 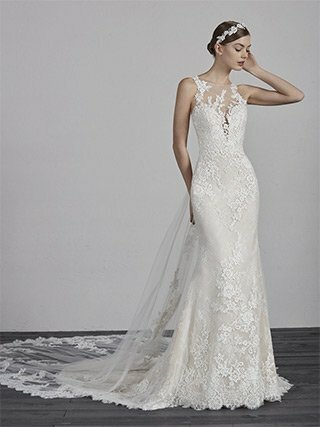 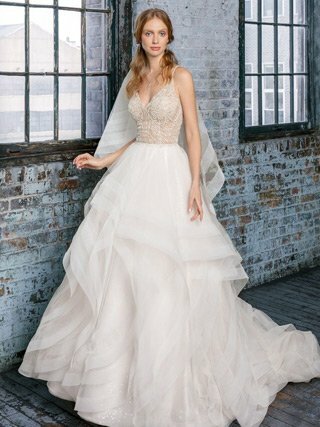 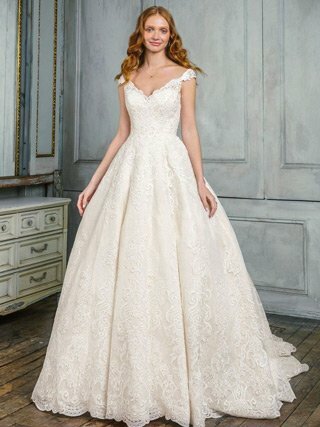 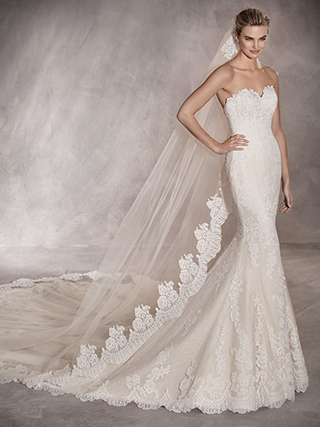 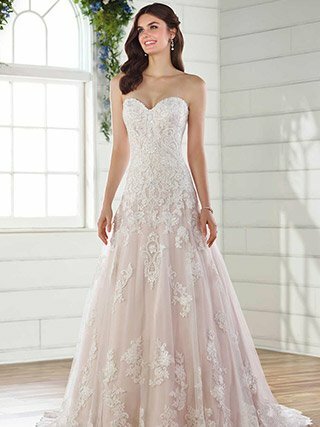 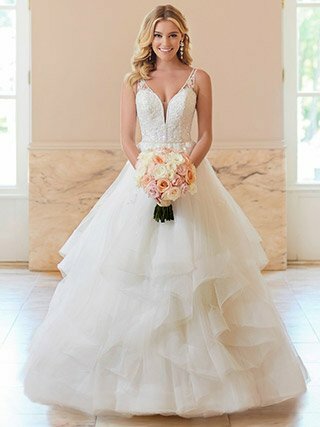 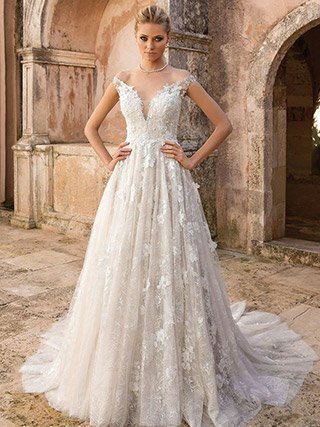 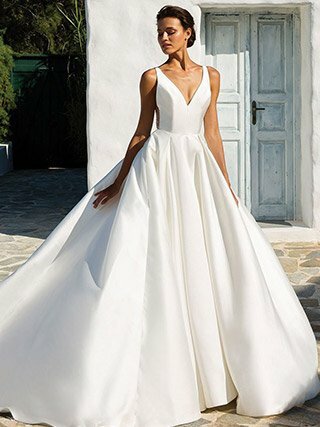 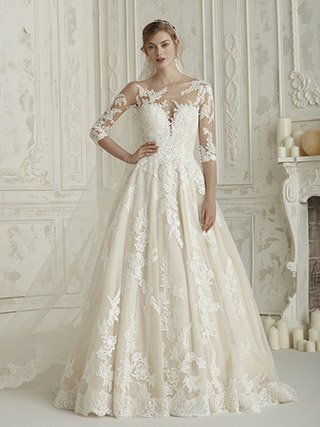 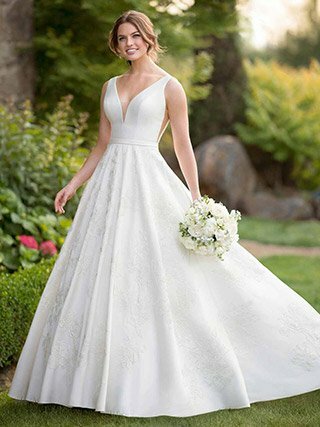 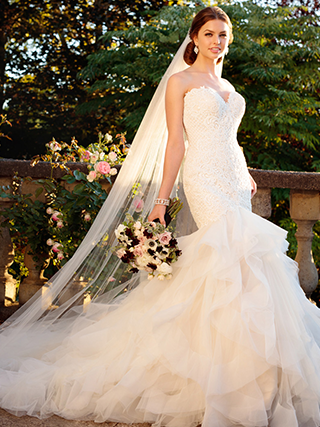 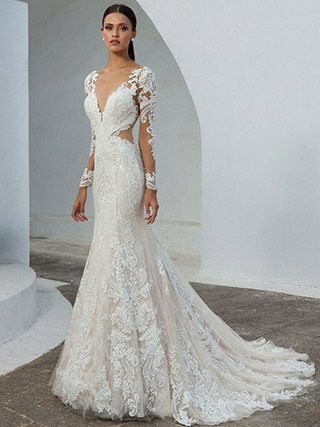 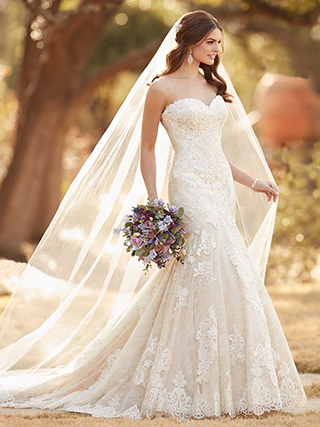 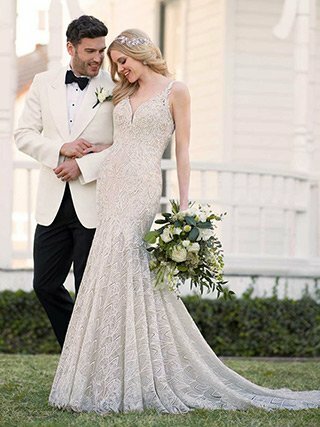 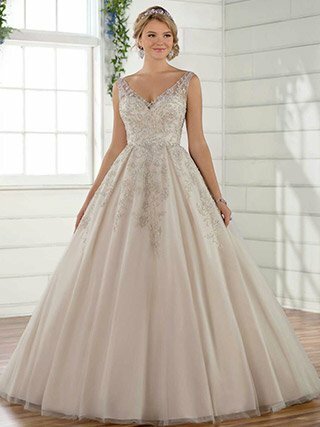 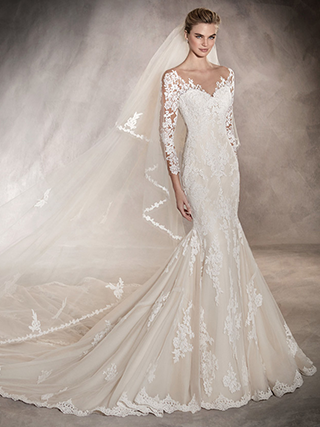 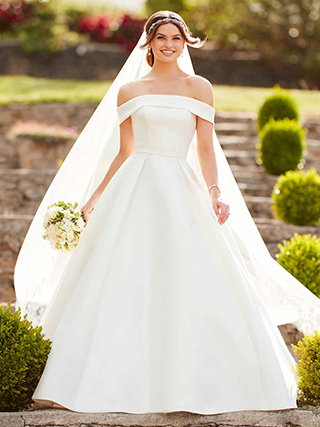 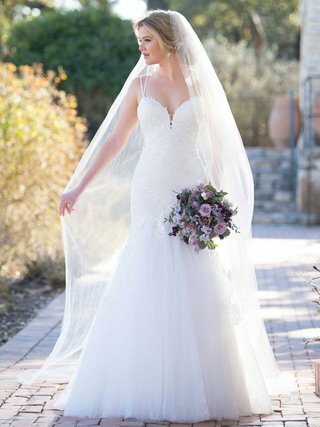 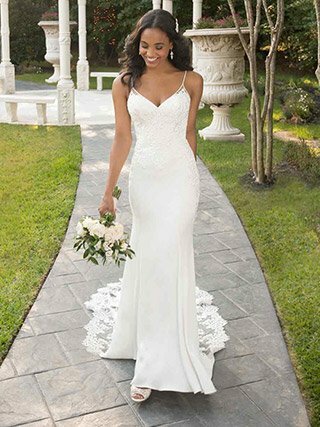 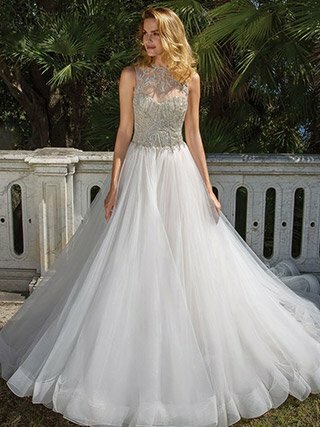 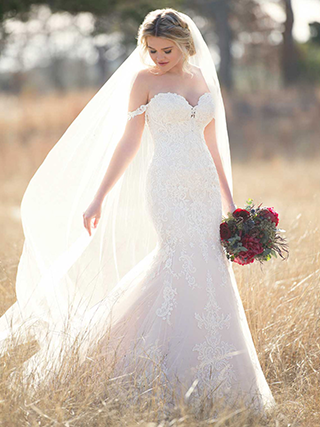 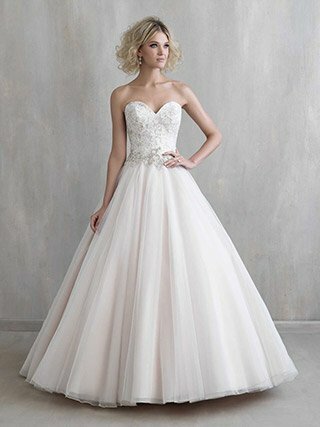 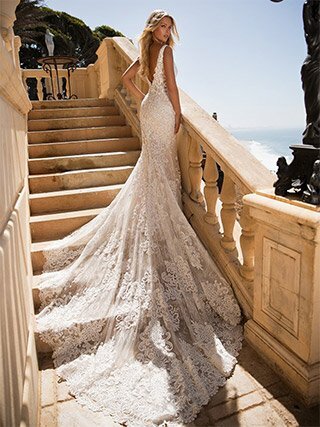 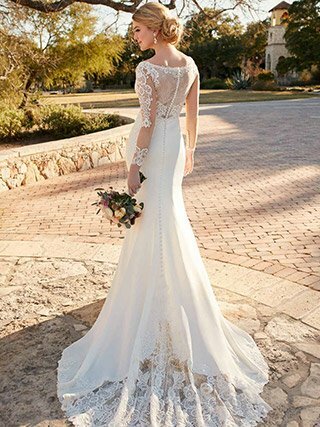 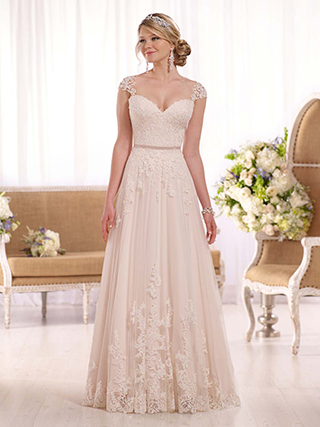 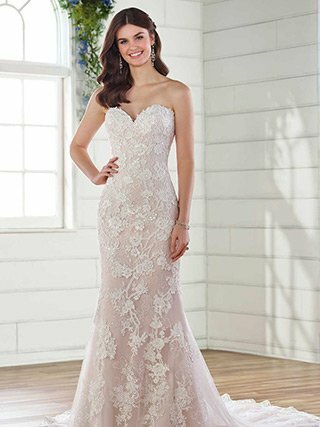 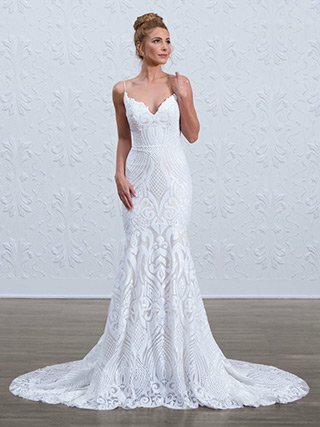 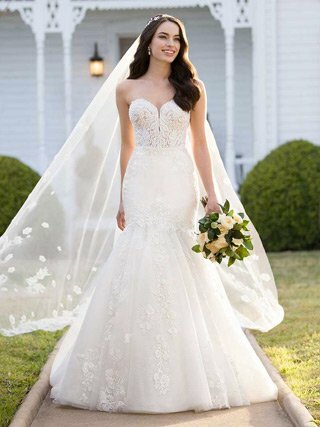 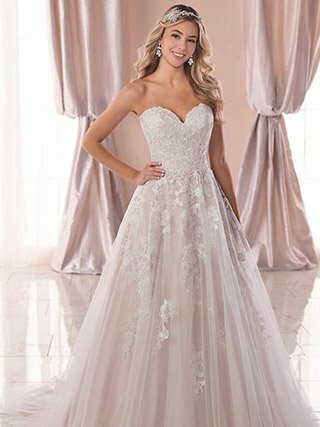 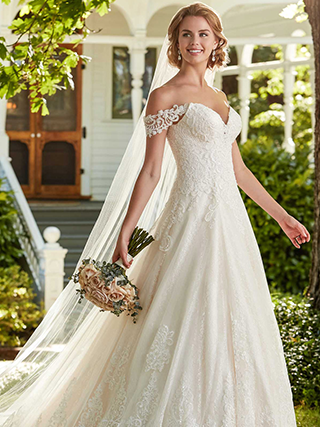 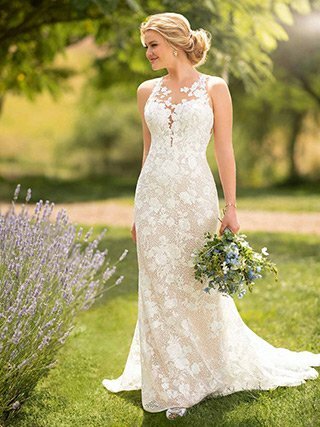 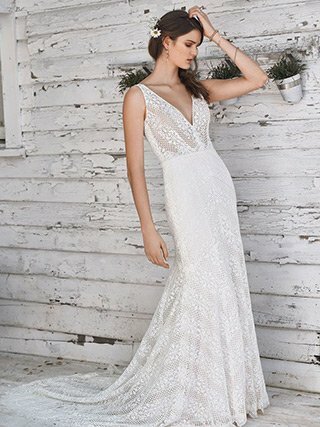 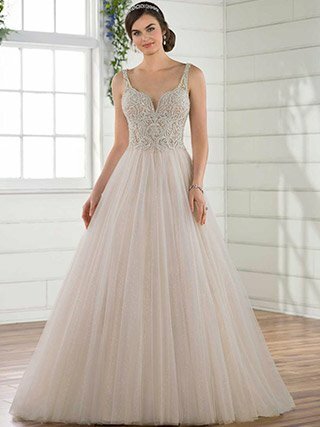 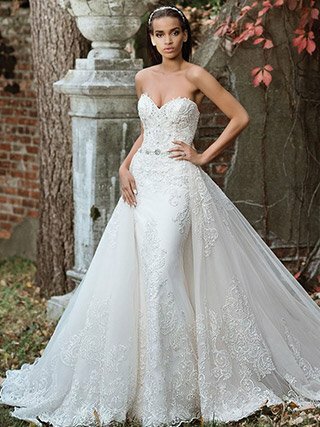 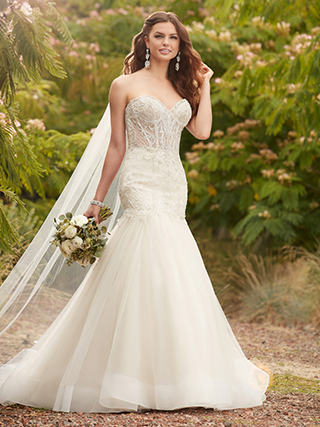 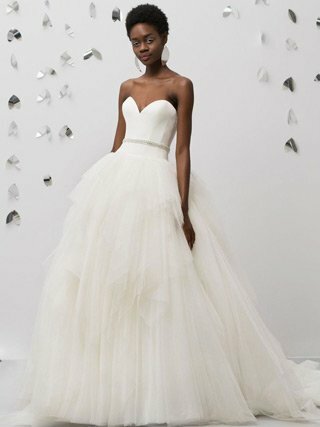 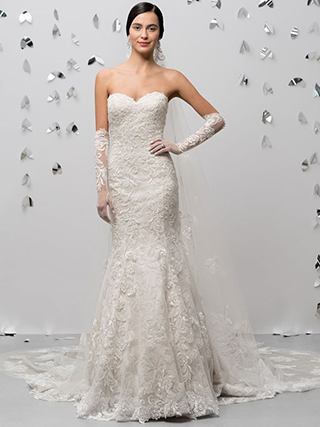 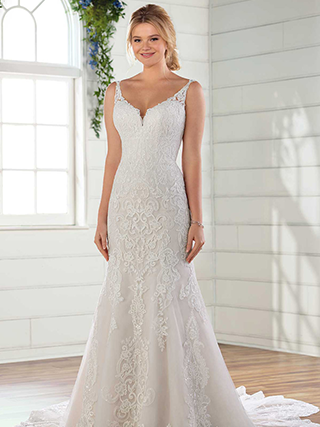 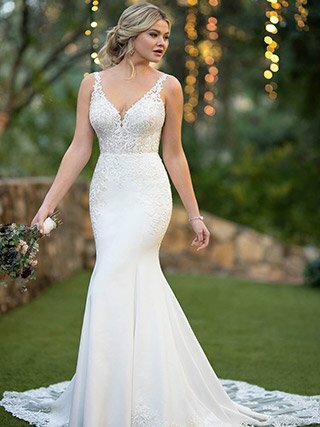 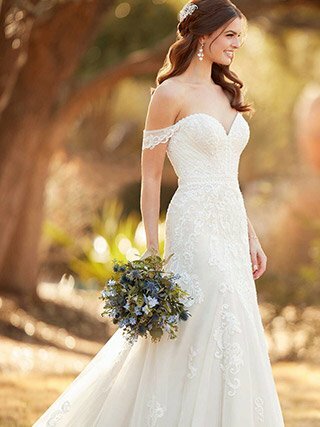 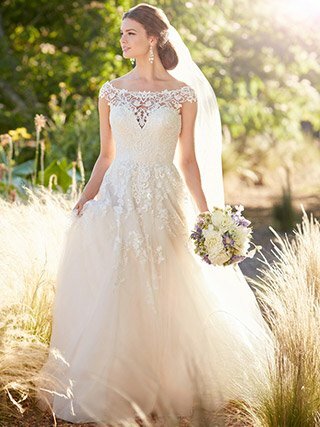 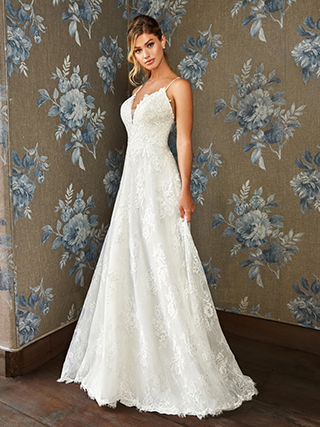 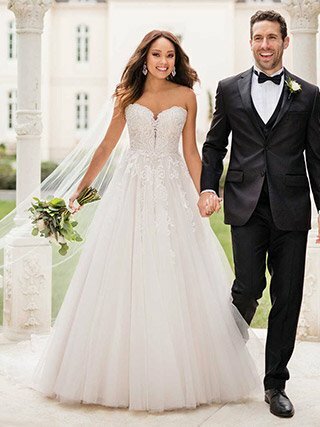 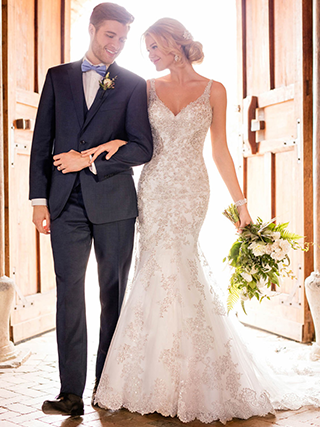 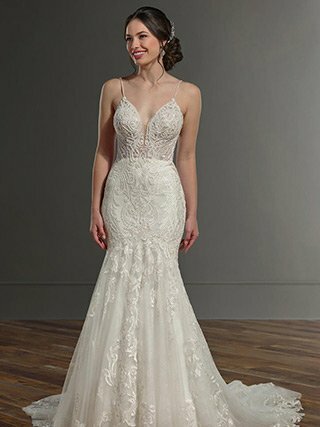 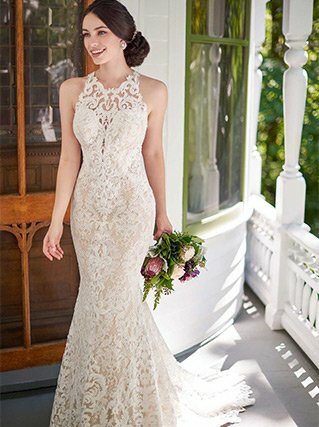 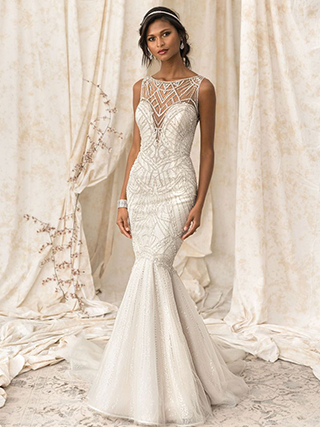 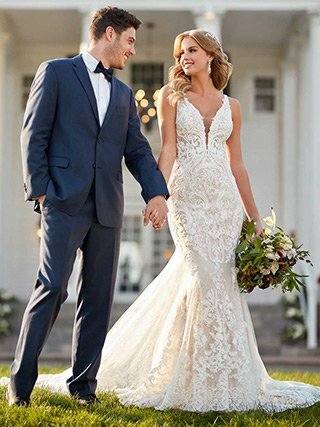 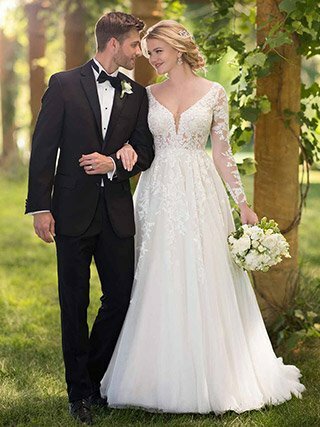 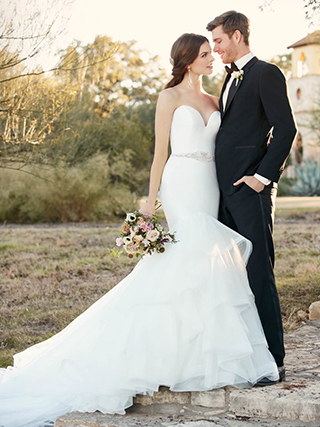 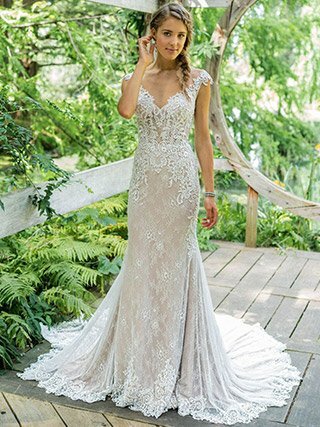 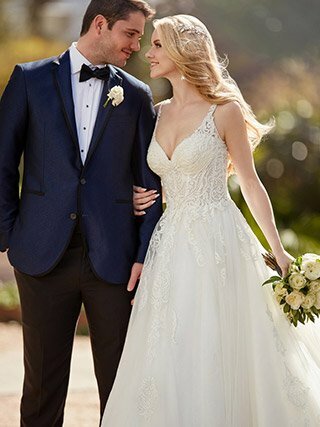 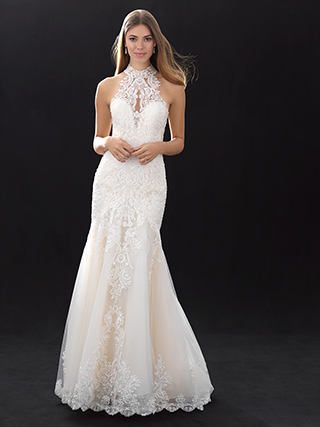 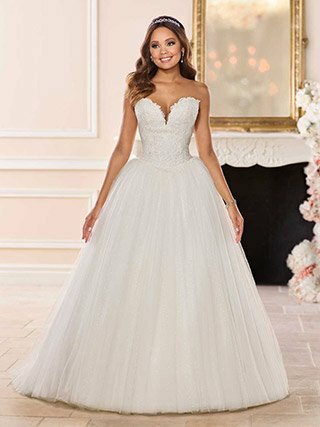 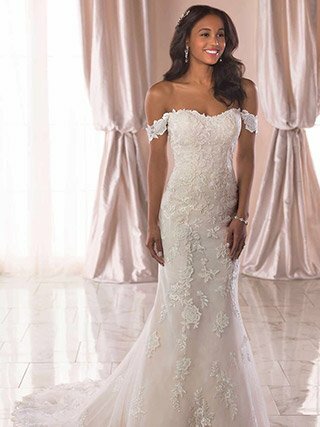 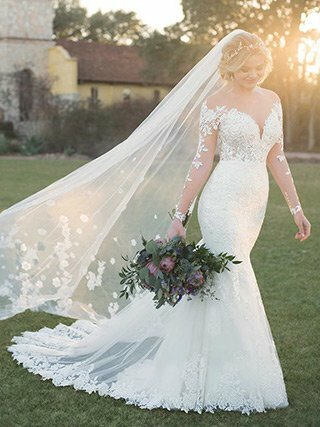 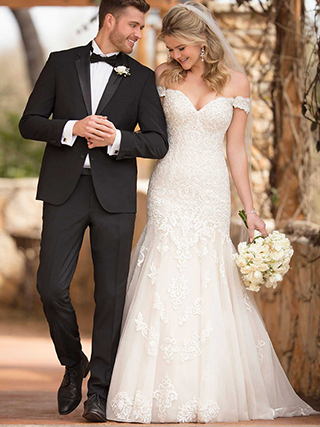 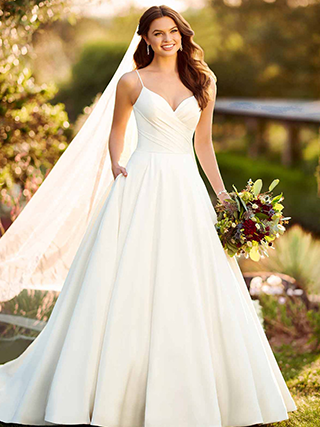 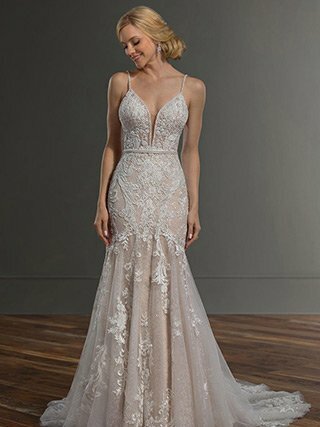 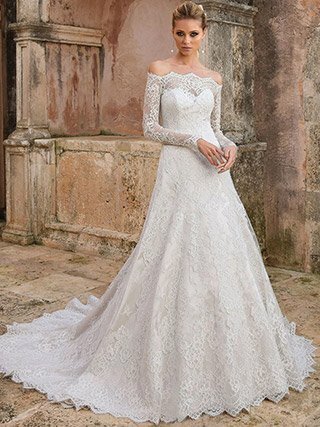 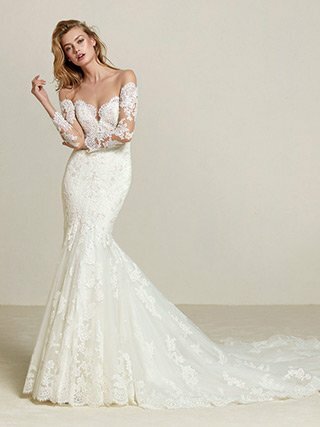 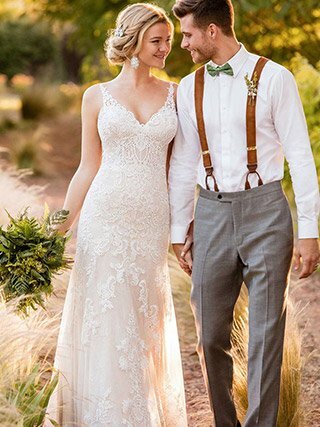 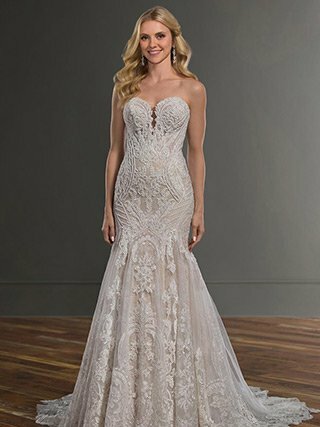 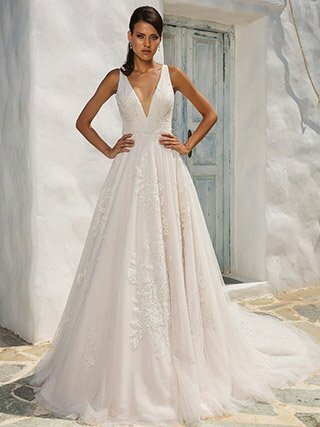 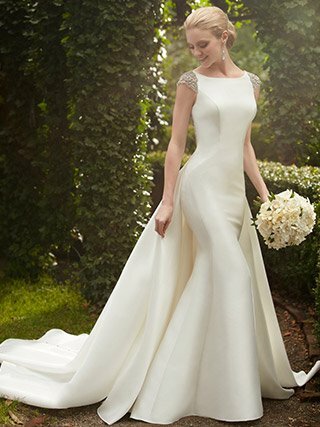 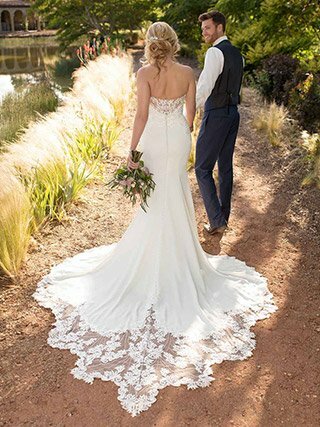 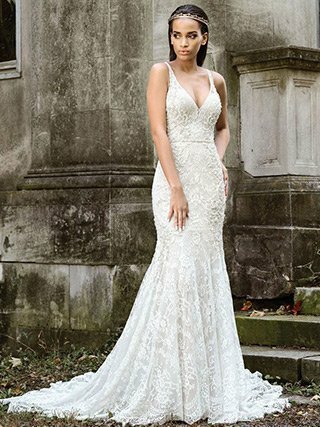 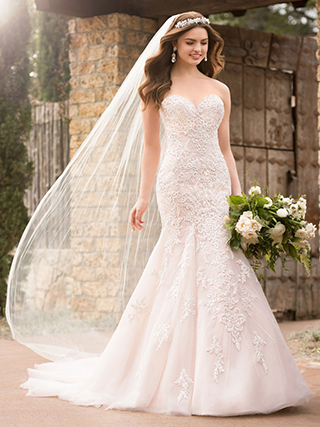 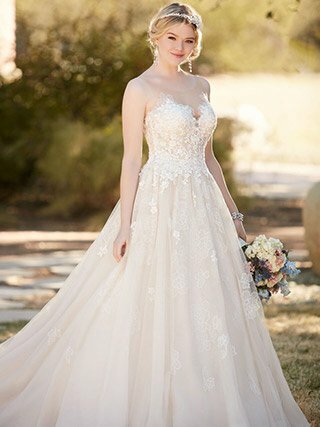 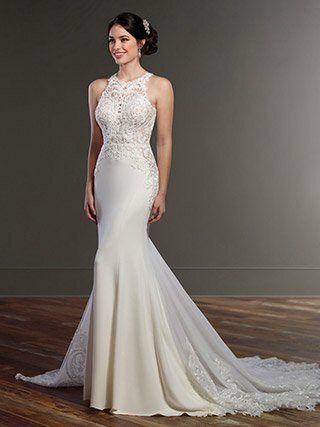 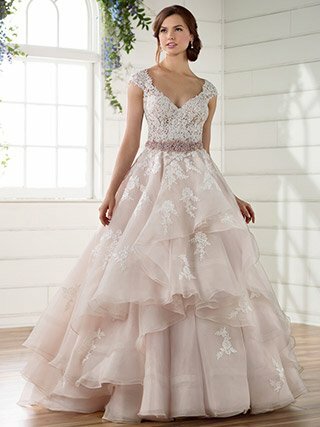 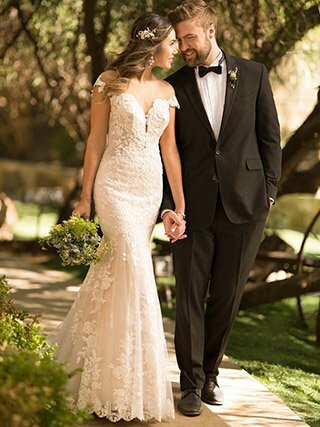 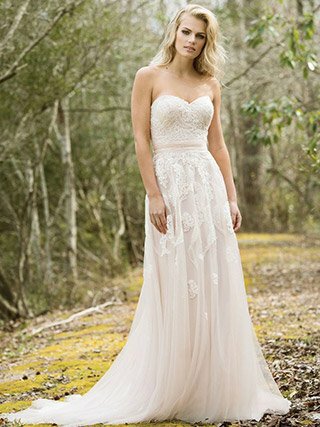 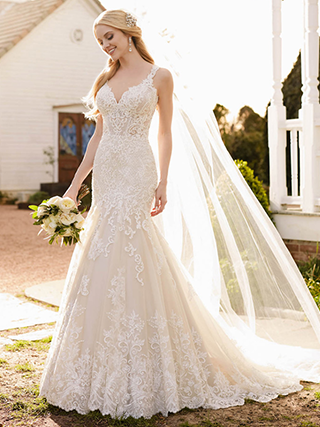 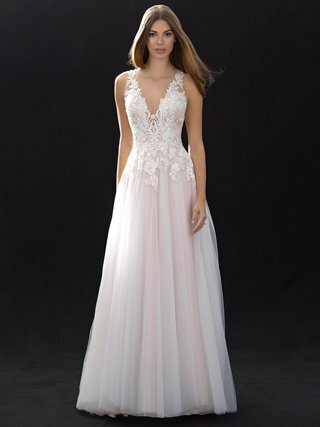 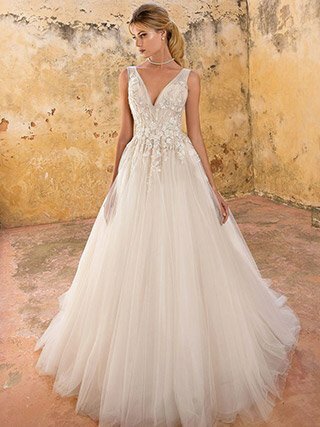 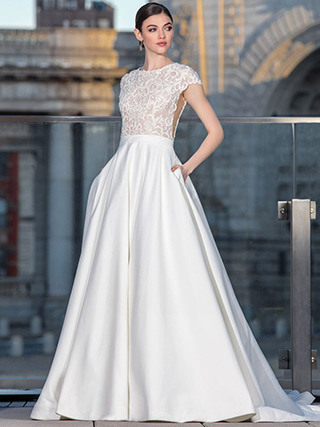 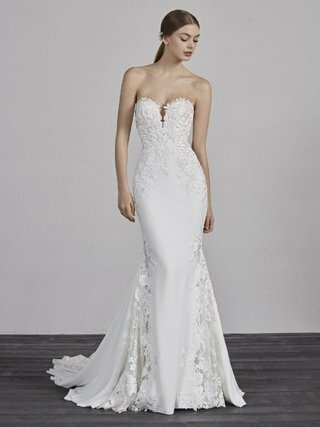 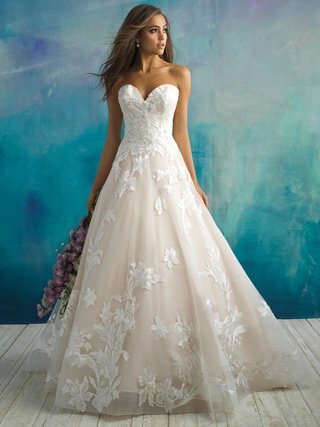 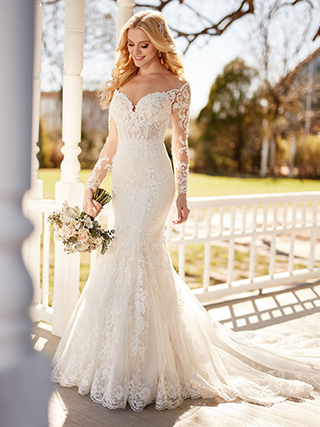 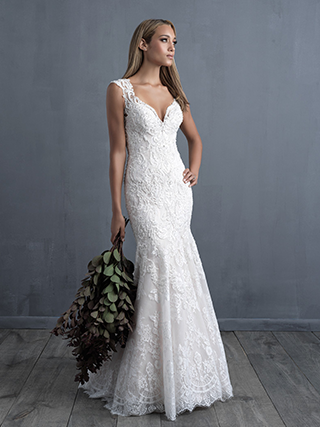 We carry a wide variety of bridal designers including Allure Bridals, Allure Couture, Justin Alexander, Justin Alexander Signature, Essense of Australia, Mori Lee, Val Stefani, Martina Liana, Stella York, Madison James, Eve of Milady, Pronovias, and Lillian West. 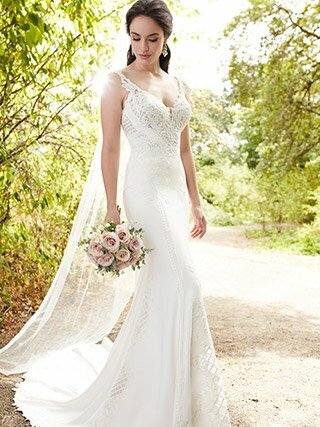 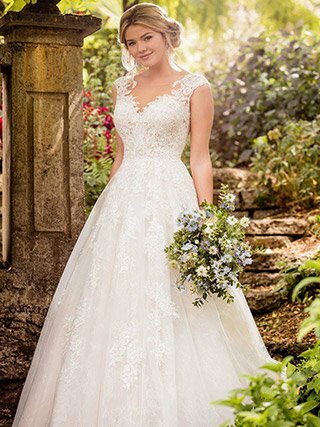 Also browse our Curvy collection – a selection of plus size gowns. 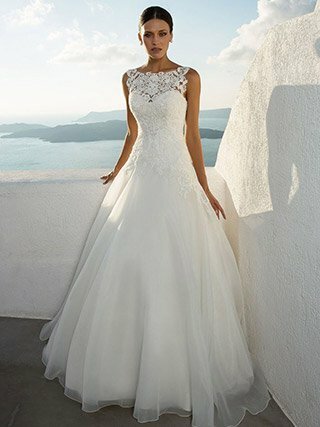 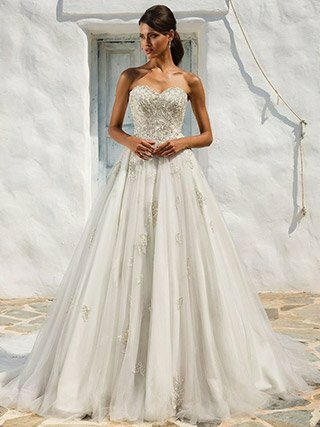 Visit our stores to see all the beautiful dresses!